An experimental program in Boston, the Chefs in Schools Initiative, has been wildly successful, and the preliminary results released November 18th have shown undeniably that kids like eating healthy food, if it’s prepared right. Have you noticed lots of small flies around your garden? They look harmless to you but they can ruin your crops without you knowing it. Female flies lay eggs on your fruits and vegetables and the tiny larvae tunnel inside leaving just a pin prick on the surface. Last month in the school garden, we installed a few fruit fly traps. In just a few weeks, we have captured hundreds of Oriental fruit flies. Many people don’t realize they have a fruit fly issue but it is predominate throughout Hawaii. In South Maui we observe the Oriental Fruit fly and the Melon Fly. The Oriental Fruit fly thrives on hosts of starfruit, breadfruit, citrus, papaya, guava and mango but also impacts many other fruits! The Melon Fly hosts include cucumber, eggplant, guava, tomatoes and squashes. It is easy to make traps from reused 2-liter water bottles and a "lure" that can be purchased from CTAHR or some landscape supply stores. We’ll be making some more Oriental Fruit Fly traps (and Melon if we can find lures) at our next Work and Learn day on Dec 11 at Kihei Elementary. Bring a couple 2-liter bottles down and we’ll get you started with a trap or two. Traps are just part of a complete fruit fly program. Sanitation to remove infested fruit is critical; if your compost pile is hot that will work but otherwise put fruit in thick plastic bags. 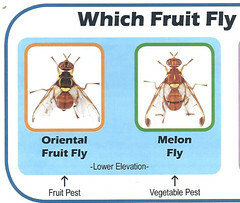 Fruit fly life cycles are very short (1-5 weeks) so don’t let fruit lie on the ground for long. Protein Baits can be sprayed that attract and poison flies; organic options are available. To get complete training on fruit fly suppression, contact the CTAHR office at 808-244-3242 ext 232. They offer training about once a month. We are working to schedule training with one of our "Work and Learn Days" next year so keep your eyes posted. Maybe you noticed we’ve taken a break from some of our activities. Call it the SMS version of the Hawaiian makahiki celebration. We all need time to recharged our batteries. We’ve been far from idle but just doing things behind the scenes. We created our first set of Bylaws which includes a new structure for SMS. We’re now prepared to grow and take on new projects in a more organized fashion. So much has happened in the Kihei Elementary School Garden that we have several articles to highlight! South Maui Sustainability is now set to get more accomplished and we’re only limited by finding the people and passion to get things done! If you believe in what we are doing or have a new sustainability idea, please contact us. You can get involved as Core Member, a Committee Member, or just bring us an idea for a special project and we can work together to make a difference in South Maui. One of our upcoming projects is to develop a model for true ‘membership’ in our group. Of course we’ll always want to have the largest number of people possible on our mailing list and invited to our events, but we’re looking for ways to have membership with added value. If you have ideas that can help us grow members, now is a great time to get involved. 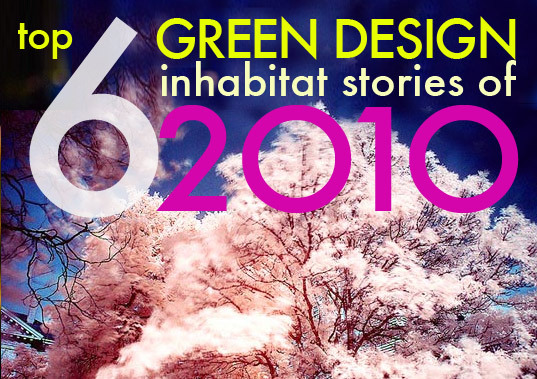 Some new ideas we are talking about include a renewable energy ‘demonstration garden’ with examples of different types of energy being modeled. This could be in conjunction with Kihei Charter School or another local school. We are still looking for the ‘perfect’ conservation project to present to the community. One of our Kihei neighbors has approached us with a ‘time banking’ or barter of services model for obtaining goods and services. What ideas would you like South Maui Sustainability to get involved with? We’re having regular events again with "Dinner and Movie" in December and the Pre-conference Body and Soil Event in January. Although we may not be having events every month, we believe that regular events are an important part of fulfilling our vision. Thank you for your support of South Maui Sustainability. We’ve done so much since we began 2-1/2 years ago. It’ll be interesting to look back 2 years from now and see how far we’ve come. We hope you will be part of our growth.